The Trials of Apollo: The Hidden Oracle has just hit the shelves and I haven't even read it personally and we already have juicy news about the sequel... No, we don't have the official cover art yet, but we do have a release date and synopsis to satisfy your craving. Of course that is just about right since we don't really wanna overshadow the party celebration of the unveiling of the cover of Magnus Chase and the Gods of Asgard: The Hammer of Thor. For now let us content ourselves with this placeholder cover, showcasing a green backdrop and the usual typeset... while reading the first book in the series which is available in the book stores near you. 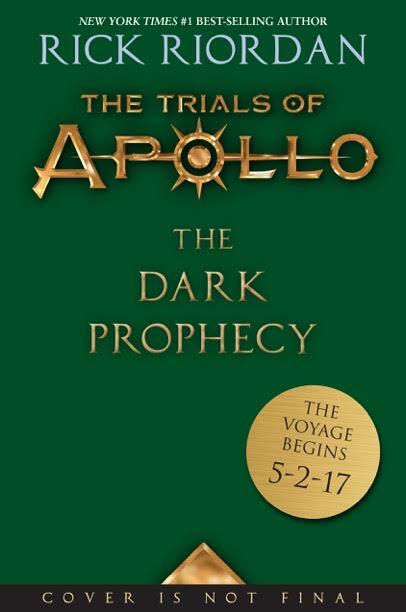 The Trials of Apollo #2: The Dark Prophecy by Rick Riordan will be available on May 2, 2017.